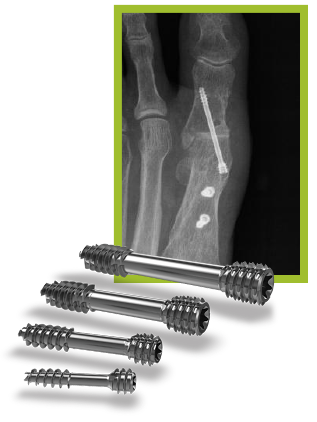 2.0, 2.5, 3.0, 3.5, 4.5, 6.5 and 8.0mm Compression screws comprise a comprehensive offering of screw fixation for Foot and Ankle surgery. 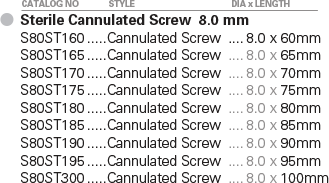 The Compression Screws are delivered in sterile, cylindrical cases enclosing a series of capped sleeves. 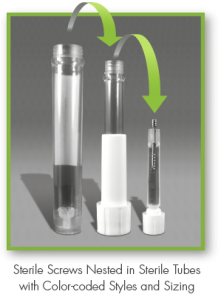 The exterior cap releases a sterile interior sleeve with subsequent cap. 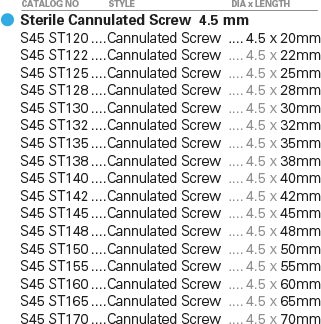 On release of the second cap, the sterile screw is presented on a sterile sheath for the OR. 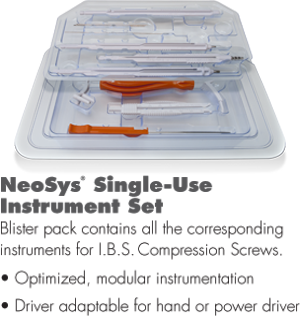 Each Screw package includes a series of self-adhesive labels for convenient and comprehensive implant traceability for hospital and patient records. 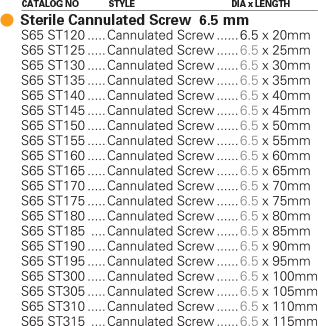 Torx Head – shape supports a higher torque without degradation. 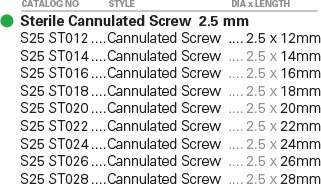 Thread shape designed for optimal grip and penetration thru cortical bone. 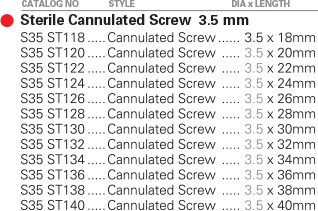 Thread Design – The wide & narrow shape of the threads, enhances bite and penetration in cortical bones and a better grip. 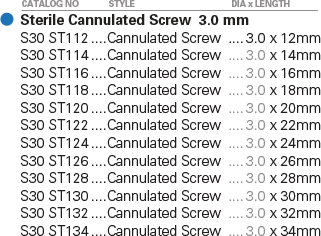 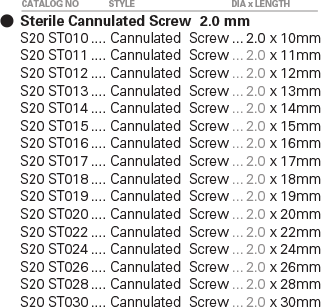 Self-drilling, self-tapping – Head and distal cutting flutes angled for ideal self-drilling performance.